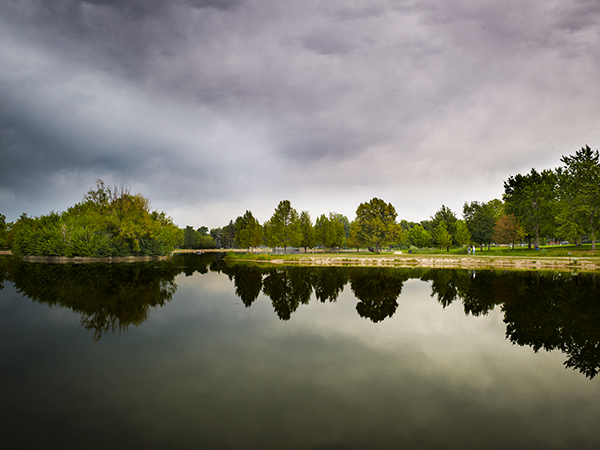 Situated on the growing southern edge of the city, the 165-acre park was designed in 1899 by Reinhard Schuetze. 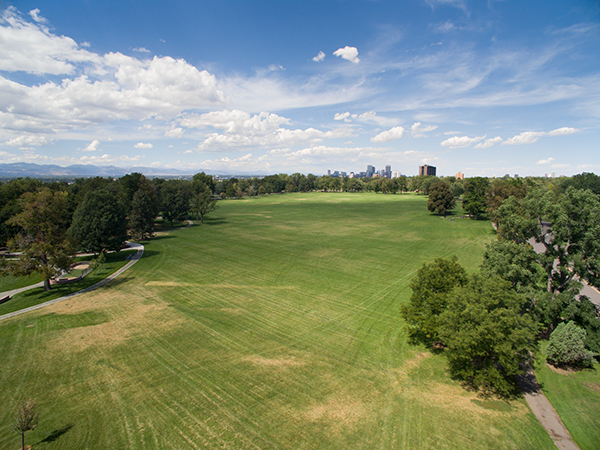 Completed in 1904, the long, rectangular park is one of the largest of the fifteen parks that comprise the Denver Park and Parkway System. 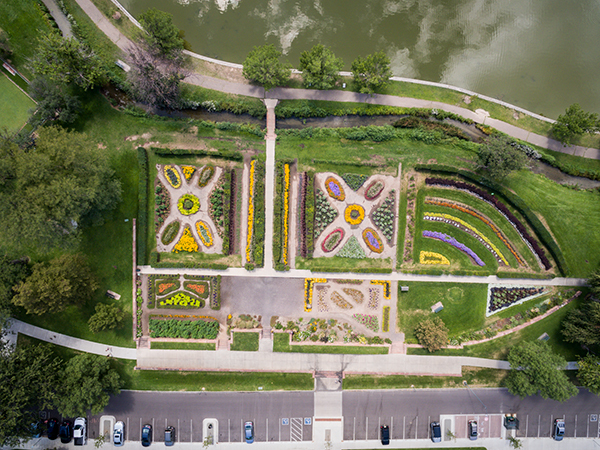 Schuetze’s original plan, much of which remains intact today, was modeled after the work of French landscape architect Edouard Francois Andre and German landscape gardener Gustav Meyer. 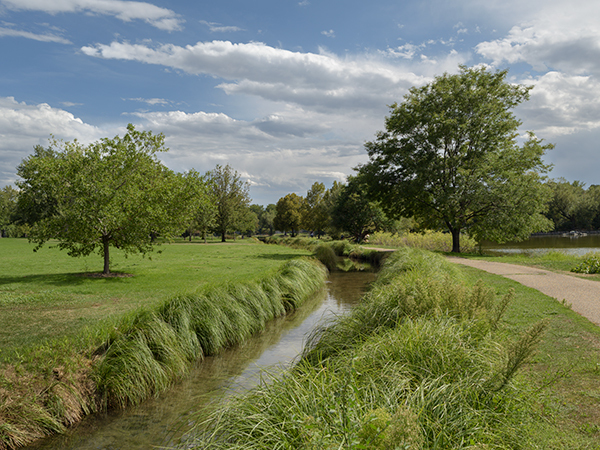 Schuetze laid out curving paths, expansive lawns edged by groves of mature shade trees, and introduced two lakes which were fed by the City Ditch and flanked by Russian willows. 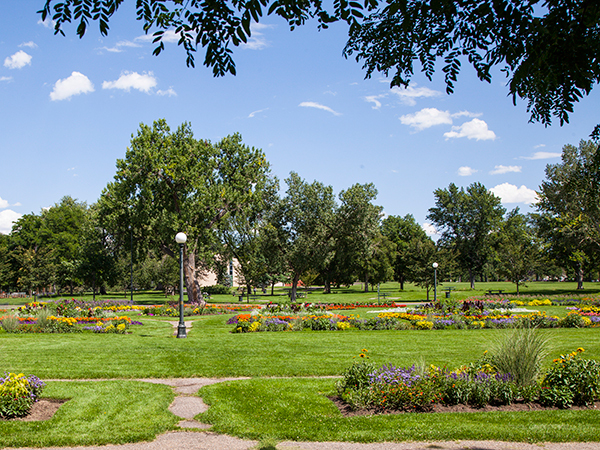 Over the following decades, as land was acquired to complete the park’s initial plan, several designers elaborated on Schuetze’s design. 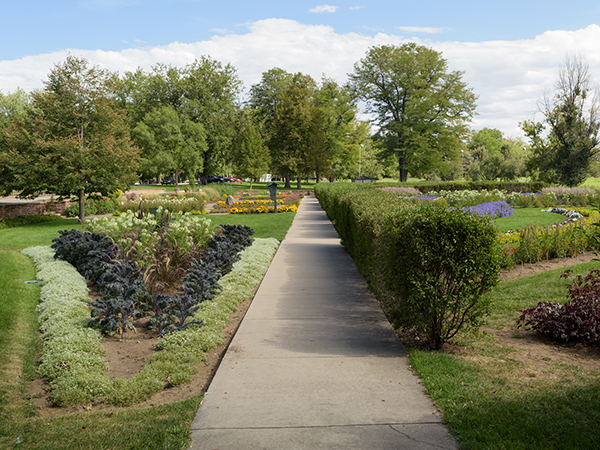 In 1908, at the height of the City Beautiful era, George Kessler integrated new roads, pathways and planting schemes. 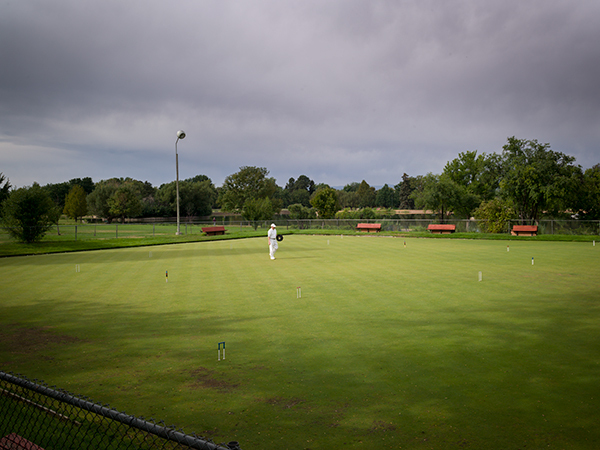 In the 1910s, the Olmsted Brothers firm incorporated rolling Evergreen Hill, the Lily Pond, the Boat House, a lawn bowling green with views toward Mt. 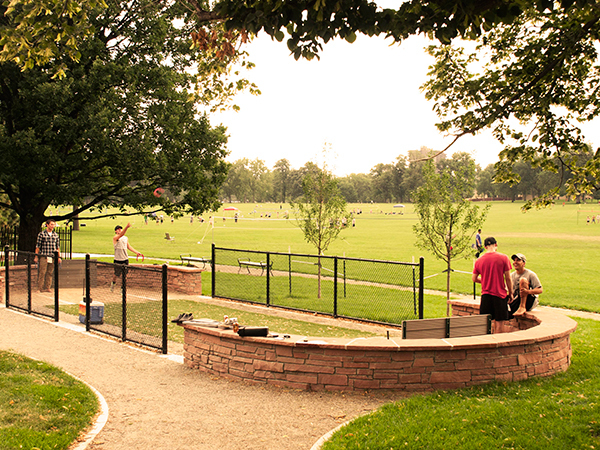 Evans, and new pedestrian pathways and recreational activities. 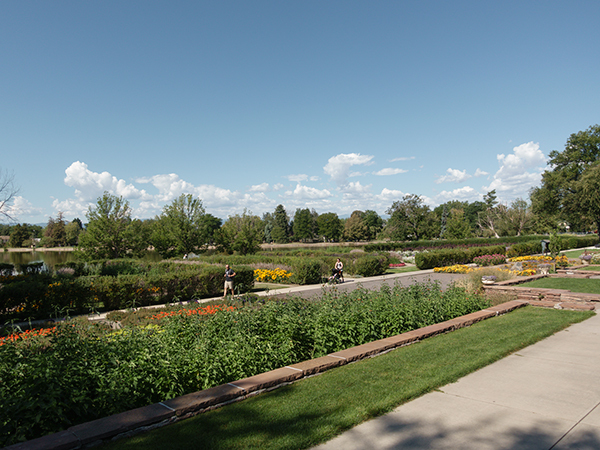 Throughout the 1920s and 30s, S. R. DeBoer, Denver’s chief landscape architect, managed the space, adding the Perennial Garden in 1918 and the Martha Washington Garden in 1926. In 1930, the Eugene Field House, a Victorian-style cottage, was relocated to the park and surrounded by evergreens, courtesy of Molly Brown, the Titanic survivor and local philanthropist. 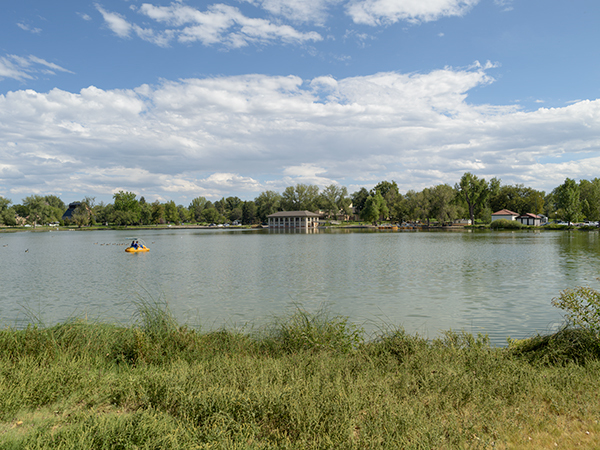 The park was listed in the National Register of Historic Places in 1986.